The Belgian beer world is known for its many beers, but also for its many breweries. We offer plenty of small, but also very large, professional brewers. Usually they have a rich history, going many centuries back in time. 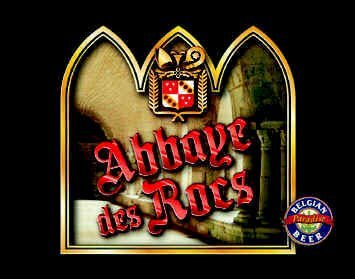 This Abbaye des Rocs Brewery is rather young and was founded in 1979. A brief history can be found later in this article. This relatively young brewery was founded in 1979. The production at that time was only 50 liters per two weeks. Around 8 years later the brewery expanded to a product capacity of 1500 liters. In 1993 they further invested in more automisation, where washing bottles, beer tapping and labeling by hand were history. About 20 years ago, in 1996, they then reached the magical milestone of 1000hl.